Diabetes is a very common illness in the UK, and you must rule it, rather than let it rule you. Many people are affected by it, even the fittest, healthiest and slimmest – it takes no prisoners. Yes, diabetes can occur if you don’t pay attention to your diet, but that is not always the reason. When diagnosed with diabetes, your medical professional will obviously recommend a change in diet and potentially in lifestyle, and the condition will be treated by drugs. Type 1 and Type 2 have varying reasons for occurring. Type 1 – caused by the pancreas failing to produce insulin, which then must be replaced by injections. Type 2 – whilst insulin is produced, it is not working effectively with your body cells. Symptoms of diabetes can include excessive thirst, which makes it vital for you to keep hydrated. Excess glucose or blood sugar in your body will cause a reaction whereby the body works hard to draw water from your tissues, causing dehydration and debilitation, tiredness or extreme fatigue in advanced cases. Drinking plain, fresh water is a critical solution to keeping hydrated – under no circumstances are fizzy drinks to quench your thirst an option, nor overuse of juice, even fresh ones, due to the sugar content. A cooling glass of squash is strictly off the list. Water will also make you feel full or satiated, which prevents you from reaching for a biscuit or snack bar. If you want a more stimulating taste to your water, by all means squeeze a little fresh lemon, lime or orange into the water, or try one of our infused water recipes that have low sugar fruits. 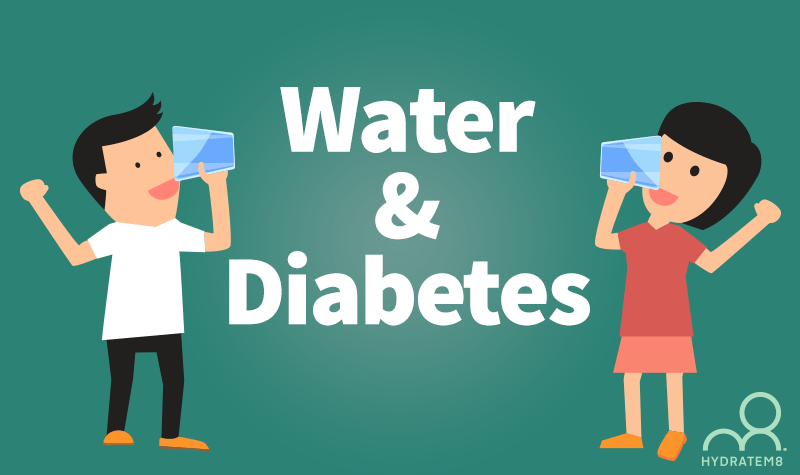 Whilst water will not cure your diabetes, it will help to not only hydrate you, but also to flush out toxins via the kidneys – a frequent sign of diabetes can be the need to urinate more frequently anyway. However, water will aid in the process of essential hydration to keep the excess pressure away from your cells. 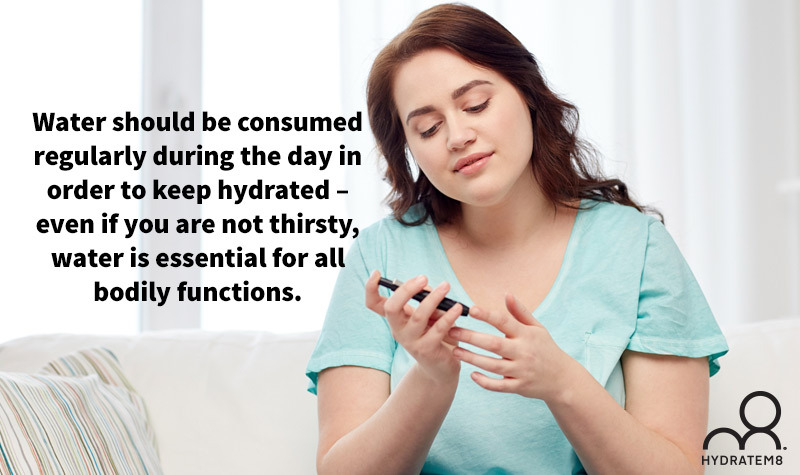 For sufferers of diabetes, the utmost attention must be paid to dehydration as the risk of it occurring is so much higher than in non-sufferers. If you have your levels checked regularly, your doctor will tell you that the higher the blood glucose level, the more water you should drink. Fact. The danger with diabetes is when it does not manifest itself as a symptom of thirst. The older you are, quite often the symptom is more reduced. Remember the saying ‘if you wait until you are thirsty to drink water, then you have waited too long’. Water should be consumed regularly during the day in order to keep hydrated – even if you are not thirsty, water is essential for all bodily functions. A great way to ensure that you top up on hydration throughout the day is to use our Hydrate8M bottles, clearly marked to remind you when to replenish fluid throughout the day. 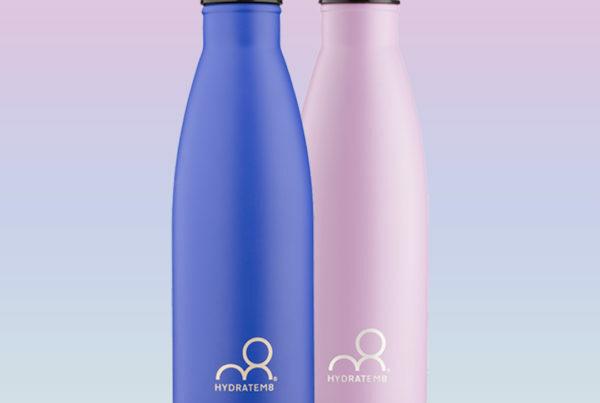 Solid and durable, there is also no need to worry about re-using your bottles – they are made of non-toxic plastic, the best available on the market. 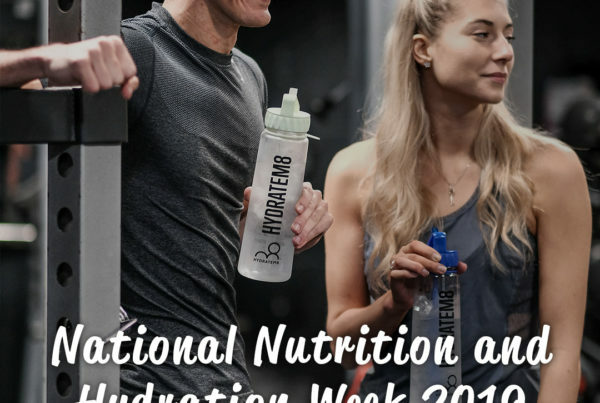 For those of you that are keen on exercise, whether it is running or a workout at the gym, if you suffer from diabetes it is even more critical to hydrate regularly, as you lose even more water by sweating. 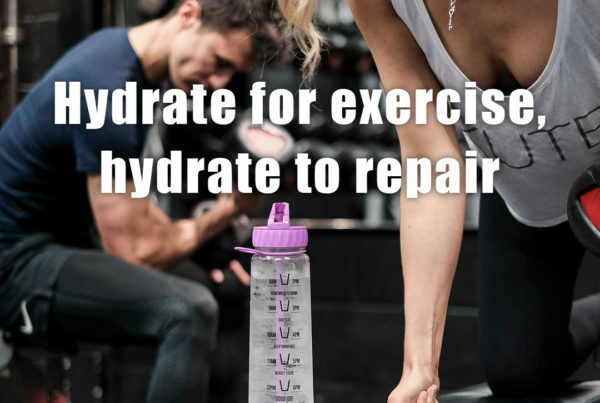 You must also hydrate more if you have had stomach upsets or viruses that will cause a quicker and higher rate of dehydration, and essential electrolytes must also be replaced. Stay hydrated, and help manage your diabetes.